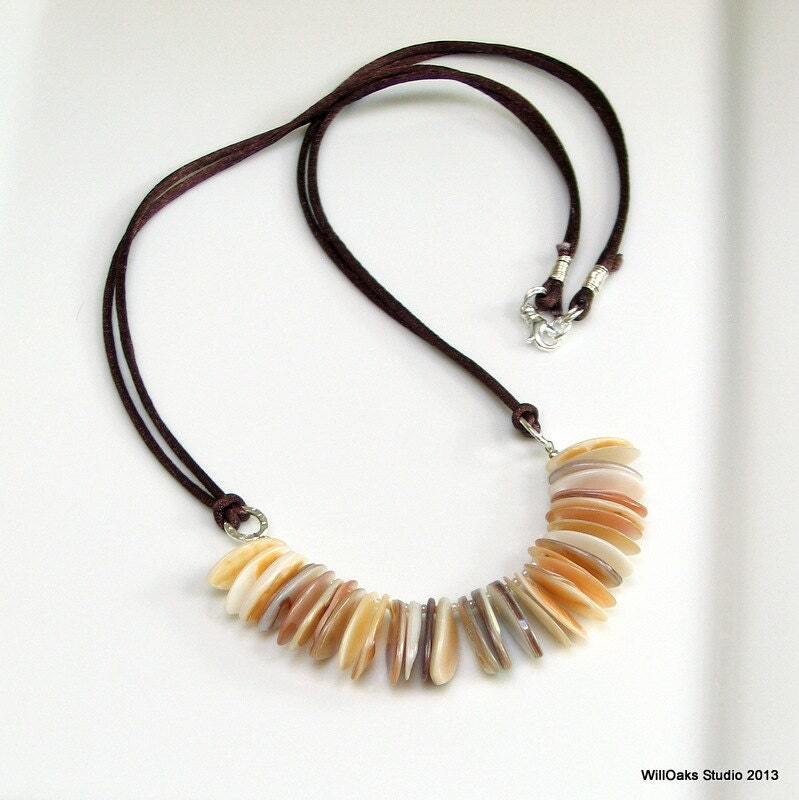 A collection of natural shell marquis becomes a focal on this modern pendant necklace. 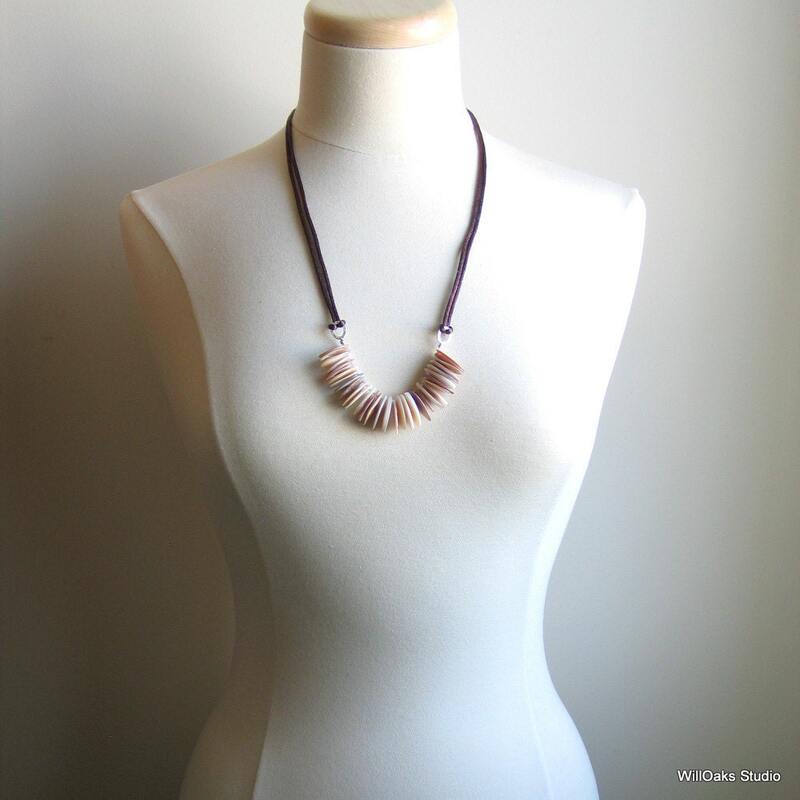 The shaped mother of pearl retains the natural ivory, browns and beiges of the shell, and are presented with tiny Czech glass spacers, all lined up as a graceful curve. The smooth shapes, each measures about 7/8" x 1/2" (22 mm x 12 mm), are strung on a piece of strong nylon coated steel bead cable that terminates at silver plated steel rings. 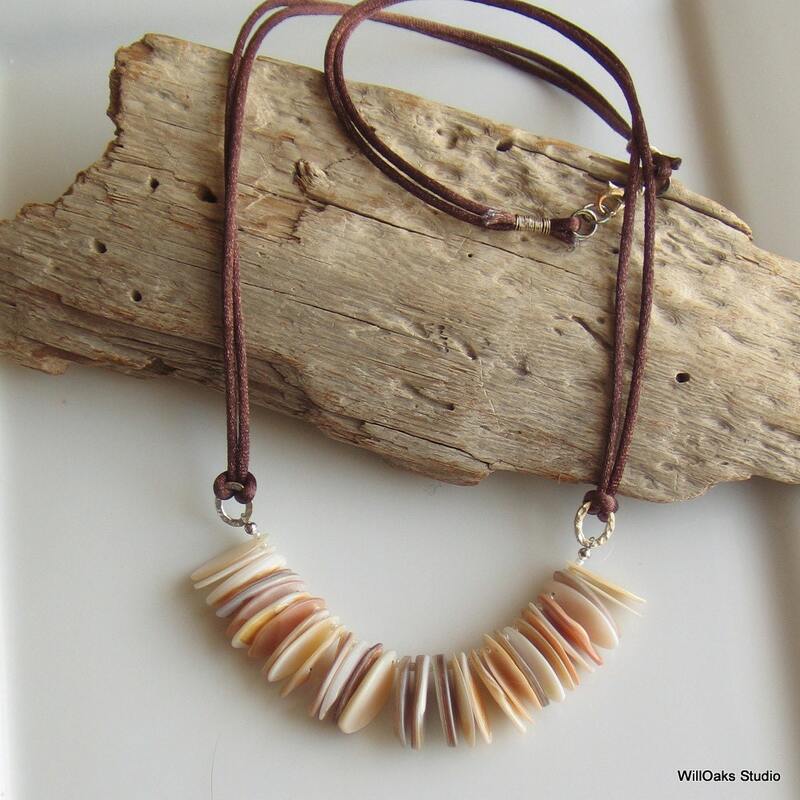 The 5" fringe-like focal is hung from long dark brown satin cords; this contemporary necklace is also a bit of "nature fashion." Dark brown satin cord is knotted to the rings and allows this focal to be kinetic, sort of like the little pages of a book. The satin cords terminate in a silver plated swivel lobster clasp and ring that are bound to the cords with tight silver wire bindings. Total necklace length is 28". A shorter version of 22" that includes a 2" silver plated extension chain is also an available option. An original WillOaks Studio design featuring natural materials with an edge and designed to cross seasons. 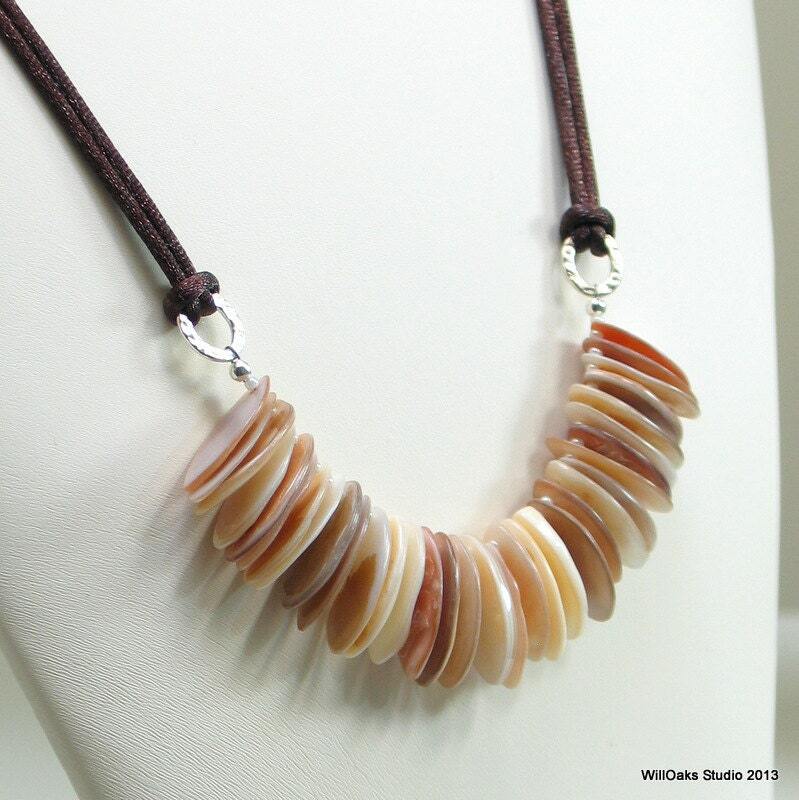 A limited edition of 10 pieces and since your piece will be made to order, adjustments to the final length that are not listed as options are also possible. If you require this, please leave your total necklace length in the "notes to seller" as you check out! Necklaces are wrapped in tissue and nestled in small velvet bags for gifting and storage. Mailed in bubble wrap envelopes, orders are all mailed first class. In the US, tracking information will be sent to you when the new piece is on the way. I'm convo friendly for any questions or comments (use the blue "contact" button) and thanks so much for stopping by! Lovely! Arrived quickly and lovingly packaged. Great seller!